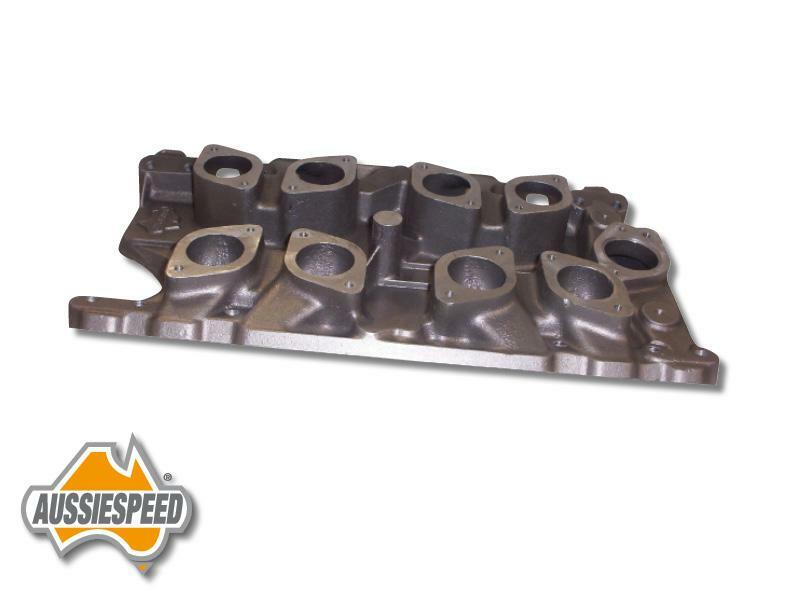 Part# AS0049 - AussieSpeed IDF quad weber carburrettors intake manifold to suit the Holden 308 V8 engine. 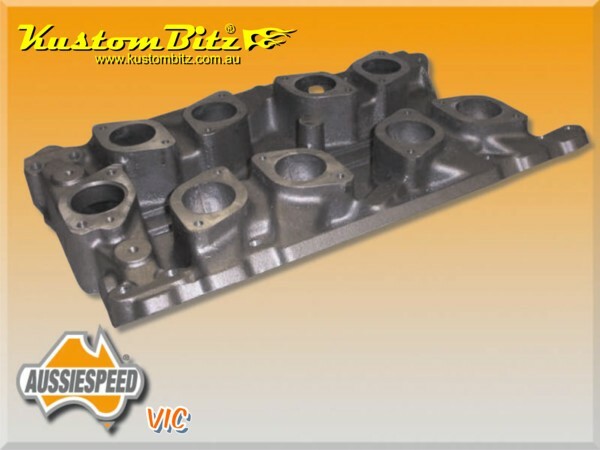 Best suited to track style engines with high compression, headers and racing type camshafts. Good Performer in the upper rpm depending on your engine set up and diff ratio. 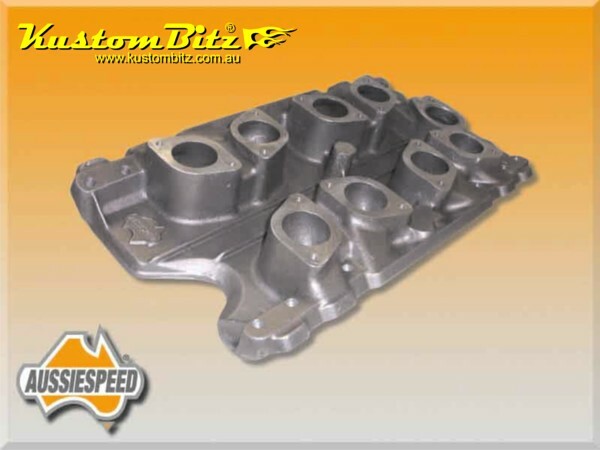 This is a low profile designed manifold it measures approx 75mm from the base to the top of the carburetor pad. As a note the IDF down draft Weber carburetors have venturies that are 90mm apart [90mm centres] which this manifold suits. Their sister carb the IDA down draft weber has 120mm centres [wider apart] and hence does not suit this intake manifold. As a rule of thumb the IDF carbies are better for street driving becasue the IDF carbies have a better overlapping of the progression curcuit, it has 3 progression holes from factory. In a nut shell this feature gives you better driveability at part throttle openings which is where 90% of your street driving is done, even if it is only to and from the track days. Think of the IDA Weber as more of a pure race carby where you are either on the throttle flat out or you are on the brakes, like on a circuit car, with a big race cam. 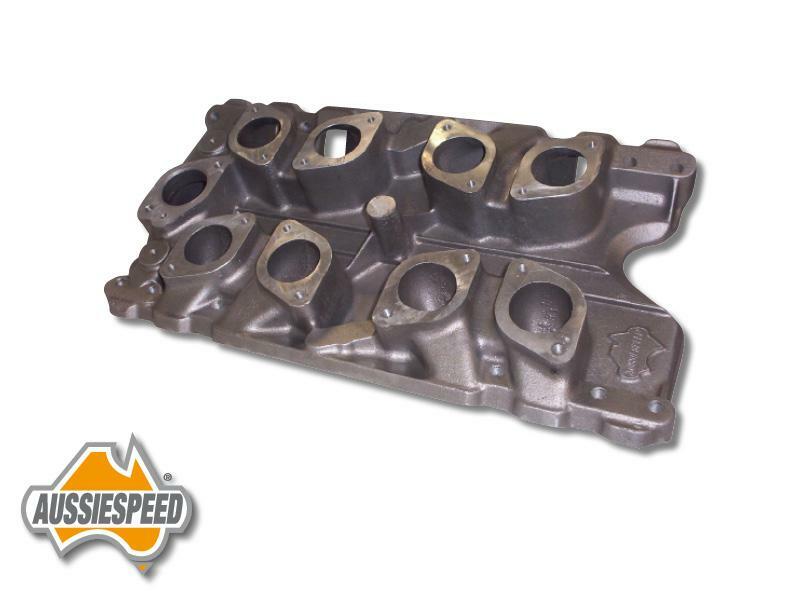 For most of us the IDF will be the better selection for street, hill climbs and track days, and since the IDFs are smaller than the IDAs they make the whole package smaller, hence why we have a dedicated manifold for the the IDF Weber carburettors.